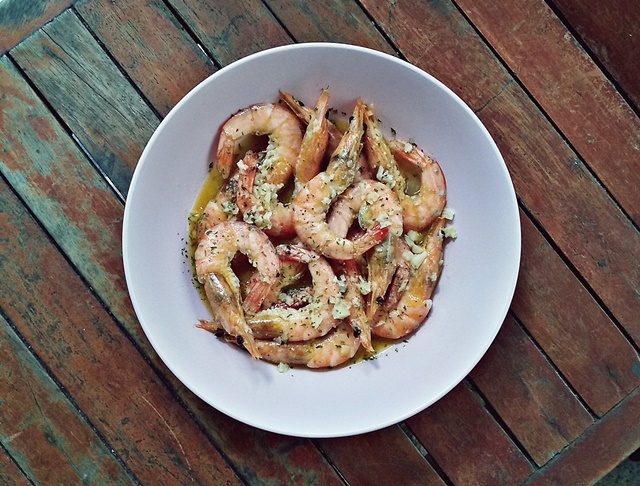 Sophia was around five years old when I finally decided to regularly serve her shrimp dishes. Yes, she started late. I didn't force her to eat those she wasn't comfortable to have yet. Then till now, I strongly believe that mealtimes should be fun. Even if I have a solid table rule (i.e., eat whatever I serve), I still made sure crying wasn't part of it. I came to a point when I had to unleash my inner theater actress, allowed her to "starve" for 5 minutes and made the broccoli speak just to make her understand that I will never feed her gross food. Guess what, it was effective! She's now a certified foodie. In fact, she now knows how to eat shrimp with head on. As in, the real shiznit – sucking it to really get its flavor. So proud of her, she's really her mother's daughter. Okay, enough. That's already silly mom-bragging right there, haha. I'm sure you came here for the recipe so let's talk about that. 1. Clean the shrimps. If you got big ones with really visible vein at its back, remove that. Here's a tutorial to properly clean shrimps with shell on. 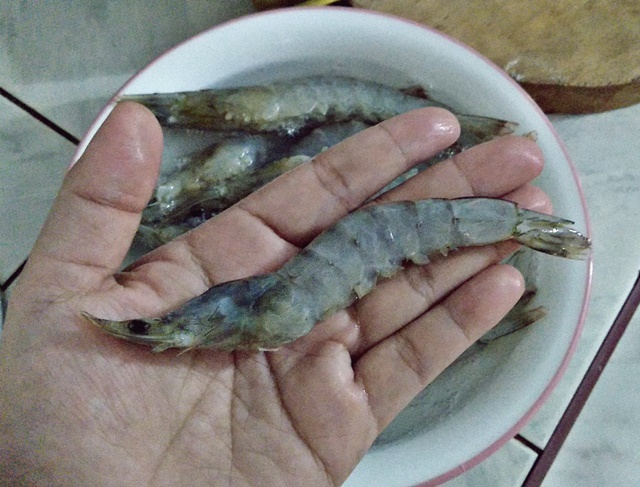 If you have medium shrimps like mine though, it's fine. Just trim the legs and its bigote, hihi. 2. 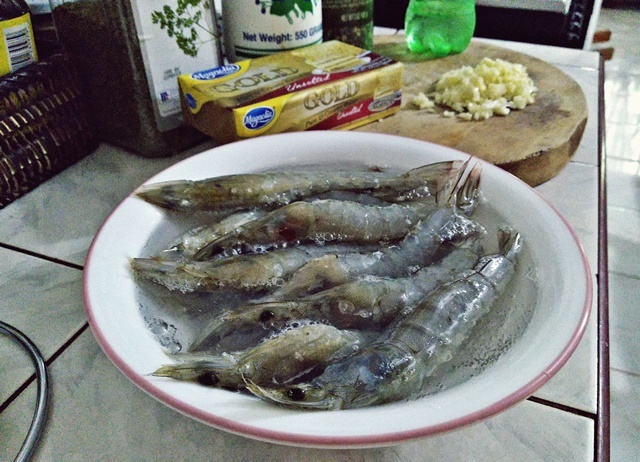 Marinate the shrimps in Sprite for at least 30 minutes. 3. 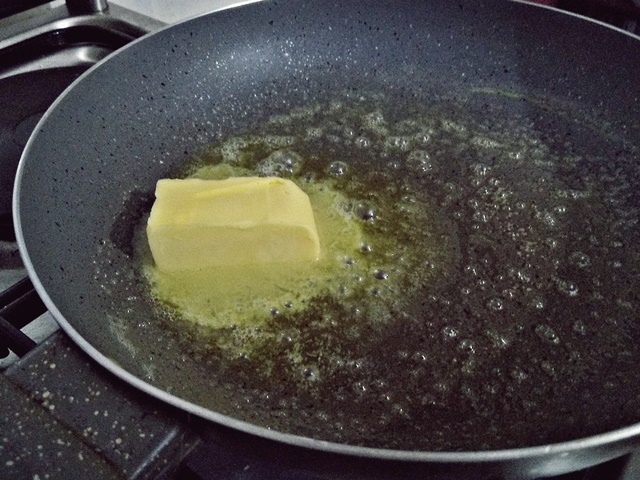 After so, melt butter in a pan. Make sure your fire's in low setting so it won't burn. 4. Add minced garlic. 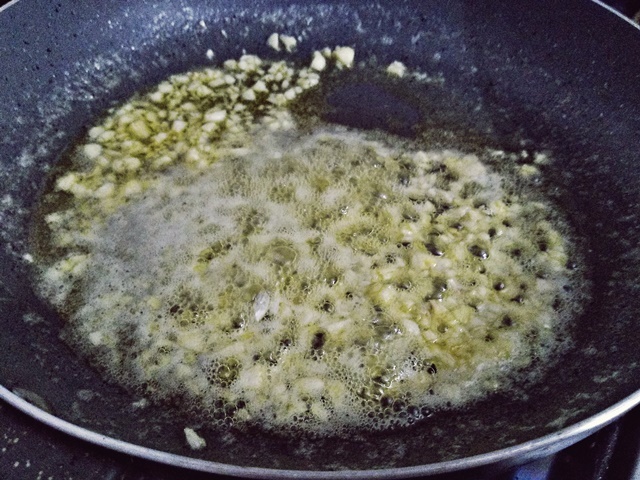 Sauté for a good amount of time until fragrant and its flavor's properly infused in the butter. Season with salt and pepper. Mix well. 5. 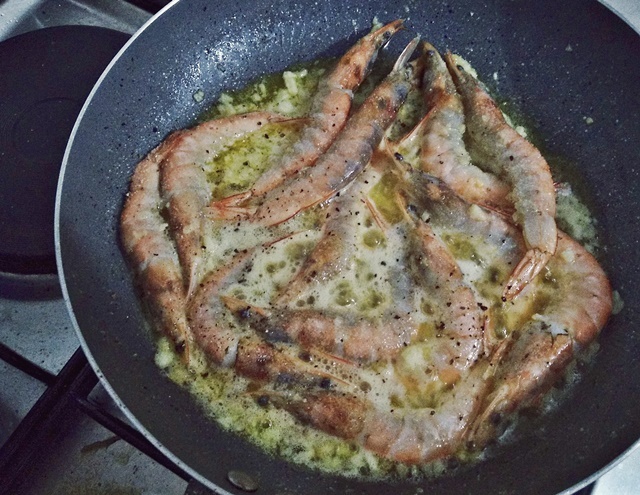 Stir in shrimps, gently coating it with the beautiful flavor of butter and garlic, until it turn orange. 6. Sprinkle with chopped dried or fresh parsley on top before serving. Enjoy! 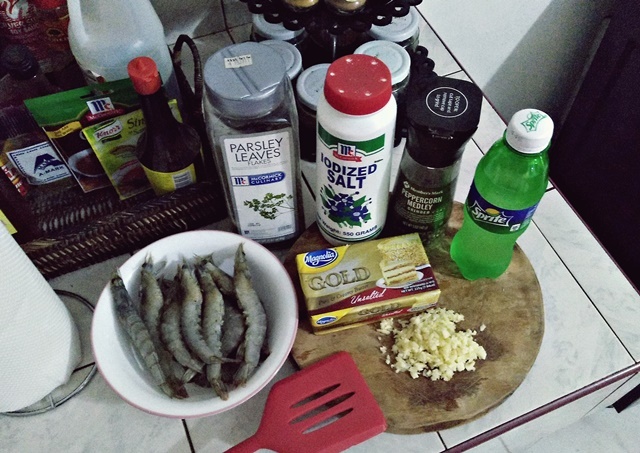 Hi Miss D Yung sprite na pinagbabaran ng shrimp Hindi nyo na ba need na ilagay kasama ng shrimp dun sa butter?